Bulldog Brewer has evolved into the Bulldog Master Brewer, now an advanced system for beer brewing with many exciting new features! The new Bulldog Master Brewer is here! 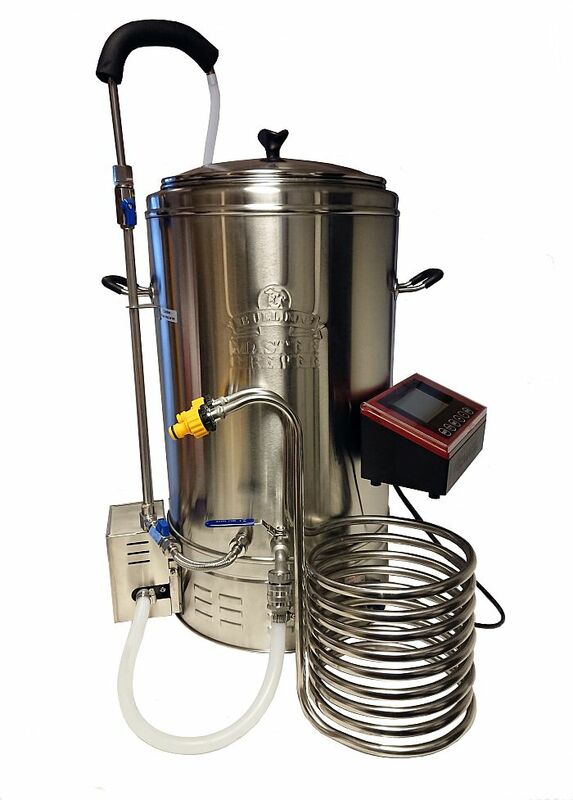 This highly advanced system for beer brewing has now got advanced features such as double wall stainless boiler - no need for "jackets", detachable controller which now handles advanced step mashing (up to 9 steps) and many other improvements over the previous Bulldog Brewer, such as a heavy duty magnetic pump. Similar products are available on High Street at prices starting from £750 and some as expensive as up to £1500. The Bulldog Master Brewer has been developed with affordability in mind, yet without any compromises to the quality. Contact your favourite retailer today for price and delivery information. This machine will be available with all major retailers in Europe from February 2018. Start the process from crushed grain (using the Bulldog Malt Mill of course), then your Bulldog Master Brewer will handle all the rest. Mashing, lautering, sparging, boiling and cooling down. Gain full control over your beer making, from the raw ingredients through to the final beer of any type of style - the world is your Pint! Beer making has never been easier. The Bulldog Master Brewer handles the mashing, lautering, sparging and cooling down for you. All you need to do is to add the wort to your fermenter - plus yeast. You can now create almost any beer with ease. Justs program your recipe in steps and let the brewer do the job!